Wow ! 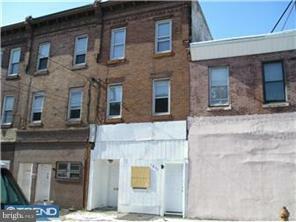 Check out this awesome duplex in South/ Philadelphia. Unit one has three bedrooms, month to month tenant paying $750 & unit two has 5 bedrooms month to month tenant paying $775 section 8. Both tenants have been there long term This property is currently tenant occupied on a month to month lease. Close to transportation and shopping. Perfect for a Savvy investor looking to build his portfolio. Section 8 approved. Selling is as is condition. Call for more info. Photos coming soon.